This time of year the days are shorter, which is okay with us because that gives more time to enjoy the light displays in and around Boston. 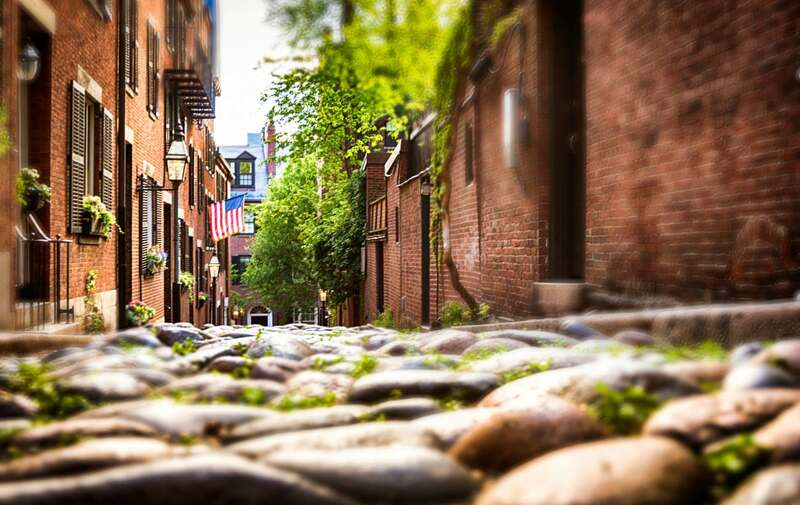 We’ve rounded up some of our favorite spots that you can enjoy any night of the week. Blink! 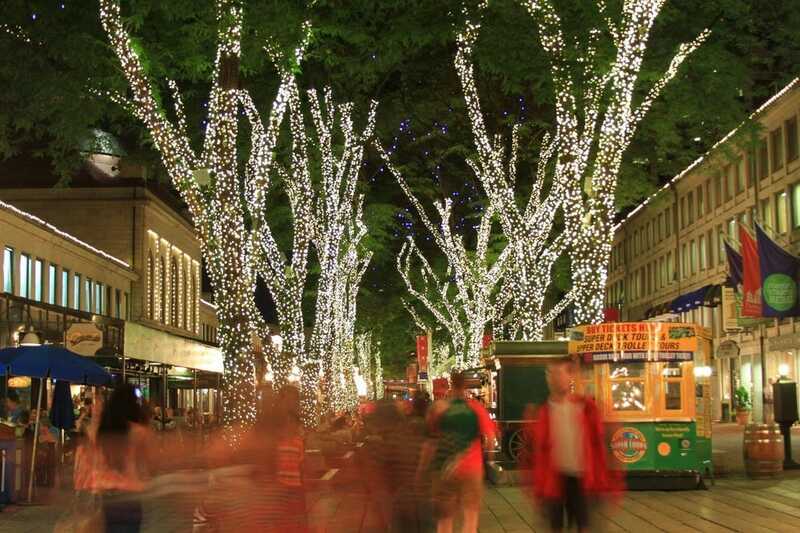 is a state of the art light and sound performance that takes over Faneuil Hall during the holiday season. This show uses over 350,000 LED lights to the sounds of the Boston pops to create a seven minute show that runs on a continuous schedule from 4:30 pm – 10 pm daily. The Boston Common has a large Christmas tree from Nova Scotia and is lit up with thousands of holiday lights. 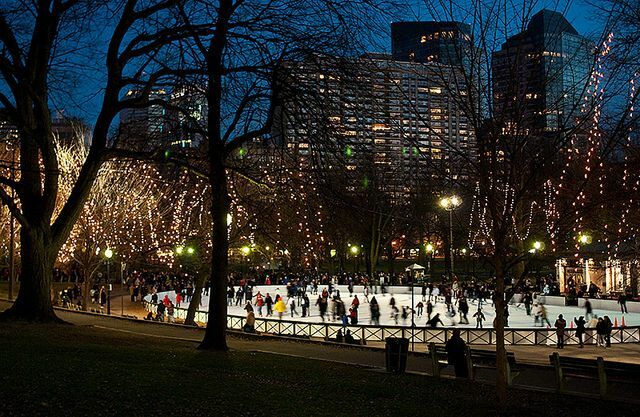 In addition to viewing the lights, you can take a skate on frog pond so grab your skates and a cup of hot chocolate. The Christopher Columbus Park Trellis is a Boston staple with its beautiful wisteria flowers in the spring and it’s holiday lights in the winter. After a delicious North End italian meal, stop by and see the lights with a cannoli or cappuccino. The Rose Kennedy Greenway is a series of parks along Atlantic Avenue in Boston. During the dark winter months there are several light installations done in some of the parks to bring light until mid-March. This is a private home on the Arborway in Jamaica Plain that has been attracting a crowd for years. 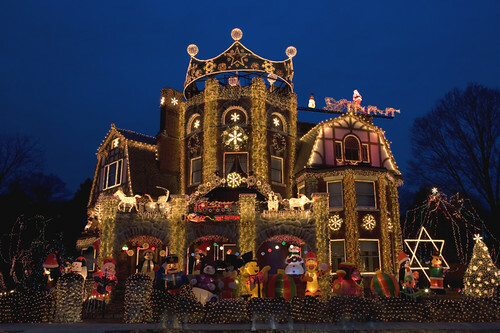 It is one of the best light displays in the Boston area.